Click here to pay dues monthly. You will be automatically charged $5.00 per month. 21 years and up. Must have valid I.D. 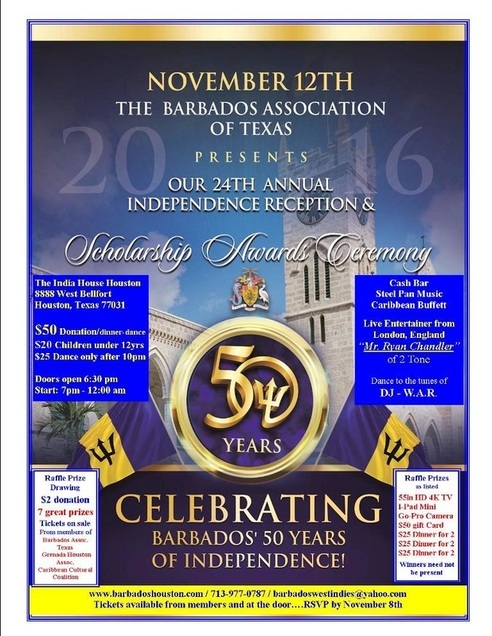 Thanks to all of the members, friends, guests, and supporters for coming out and spending an evening with us celebrating Barbados 50th anniversary of Independence! 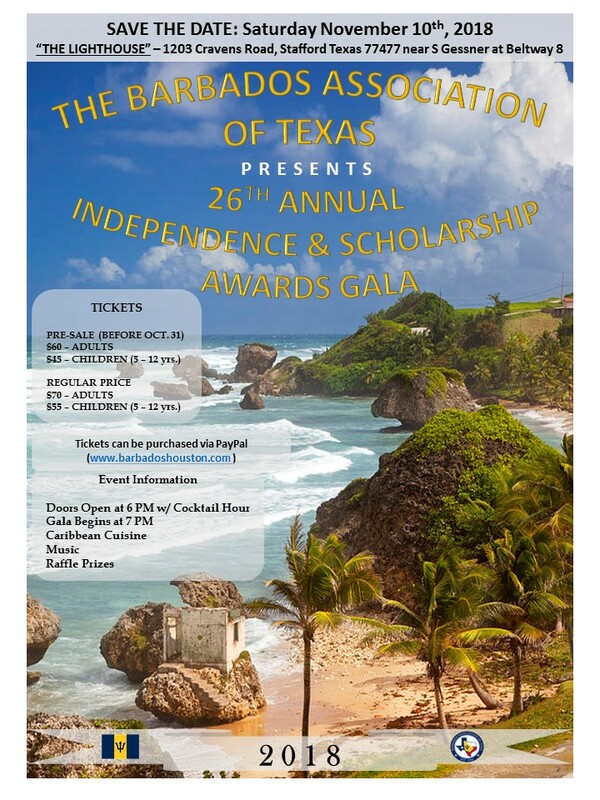 The Barbados Association of Texas (BAT) will promote cultural and educational activities with the goal of fostering better relations between citizens of Houston and the United States, and Barbados and the Caribbean. These goals are pursued through the promotion and presentation of events designed to afford Barbadians and Americans opportunities to foster cultural and social understanding. 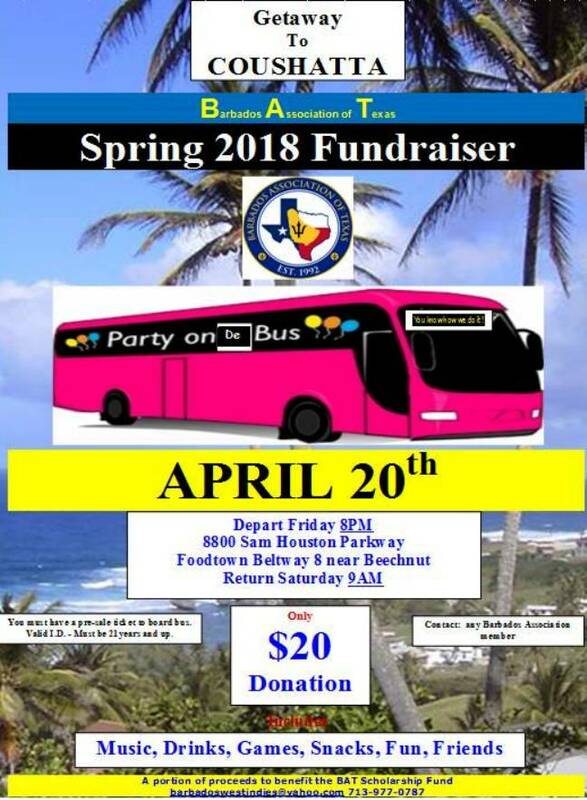 It is believed that such cultural exchanges facilitate the integration of Barbadians into the Houston community and American society, as well as acquaint Americans with characteristics of Barbados and its people. Specific objectives are: To promote education to the highest levels by providing financial and tutorial assistance; To promote social appreciation and understanding by performing public service; To raise funds by solicitation of grants and sponsorships. The BAT places a premium on the passing on of heritage to future second generation Barbadian-Americans. In this regard, the BAT conducts several activities with the intent of accomplishing this goal. 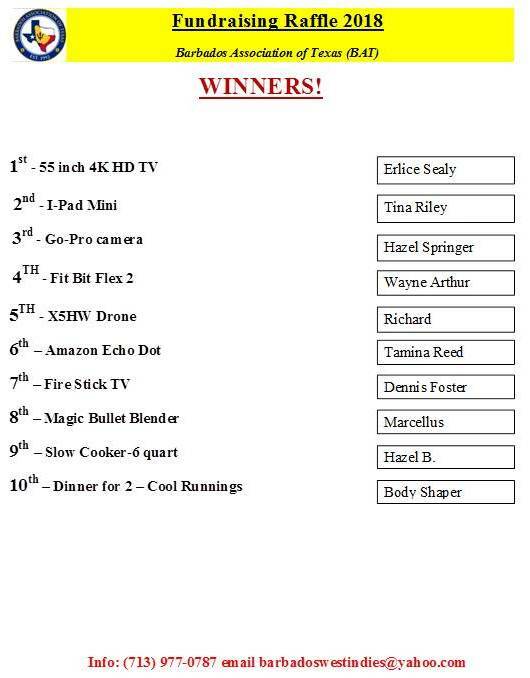 Copyright © 2005 Barbados Association of Texas. All rights reserved. Make a donation (Donate) or pay your dues (subscribe) SAFELY via PayPal.